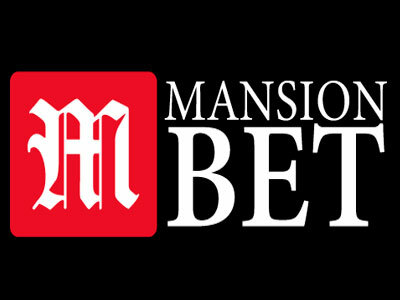 Here at MansionBet, we cater to your every betting need! Whether you want to have a punt on the horses, catch up on the latest football gossip or enjoy a spin in our exciting casino – you’ll find it all with us. Are you a football expert? More into your rugby? Or just like to have a dabble on something showing on TV? Whatever tickles your pickle, you’re sure to find the market you’re looking for at MansionBet, with betting available on a wide range of sports! For the football fans amongst us, Mansion’s history of Premier League sponsorships (including Tottenham Hotspurs, Manchester City, Crystal Palace and AFC Bournemouth) should be exciting! Especially for AFC Bournemouth fans this season, thanks to our Principal Partnership with the club. If you’re a fan of the much-loved Cherries, make sure you check out our Mansion Group Twitter and Facebook accounts – we regularly hold ticket giveaways where fans have the chance to win tickets to almost every home game this season. And make sure you keep your eyes peeled for exclusive money-can’t-buy experiences too! If the thrill of casino is more up your street, you’re in for a treat at MansionBet! Our fun and friendly online casino is bursting with exciting games, unbeatable offers and giant jackpots just waiting to be hit. We pride ourselves on producing the smoothest products, whether you prefer to play from your computer, phone or tablet! You’ll find all the classics – such as Blackjack, Roulette, Baccarat and more – along with slots from any genre you can think of. There’s also our legendary Live Casino, where you can play against our fun and friendly live dealers from the comfort of your home. So wherever you like to spin – we’ll have the game for you! Now on to the serious stuff – our parent company, Mansion Ltd., is an online casino heavyweight, drawing from more than a decade of industry experience and boasting an impressive portfolio of brands. When you play at MansionBet, you’re guaranteed a fair, responsible and secure betting environment. We’re licensed and regulated by the globally respected UK Gambling Commission, who are recognised for their stringent standards. Staffed by attentive and knowledgeable experts, our Customer Support team is here to make sure your time with us is hassle-free and as enjoyable as possible. Whether you need help with a big issue or a minor query – we’re available 09:00 AM – 01:00 AM UTC. So, whether you’re an old hand or a newbie, a fan of casino or into your sports betting – we’re confident that MansionBet will be your new favourite site. Join us today and discover the ultimate experience in online gambling now!